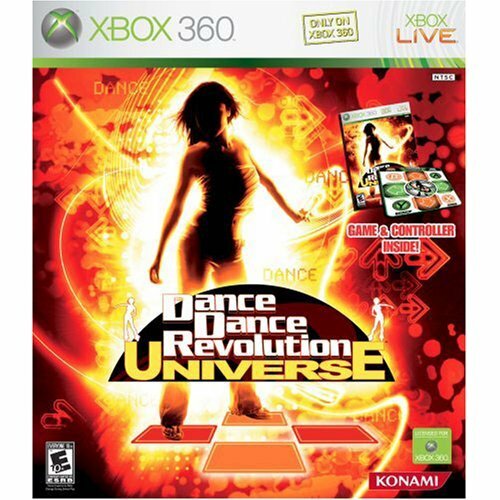 So a month or so ago I bought Dance Dance Revolution Universe from last year for the Xbox 360, to be able to play with a friend in London over Xbox Live. 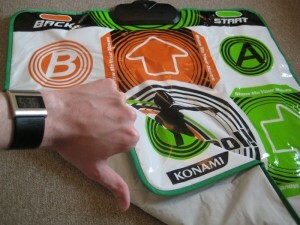 I’ve played DDR games for several years, but he was as good as new to the genre. Here’s a list of what I found broken when playing online. You cannot have different difficulties. You are forced to play at the same level as the host. This was a bit annoying since our experience levels were vastly different, me and my London friend. You cannot change speed multiplier settings, or anything else for that matter. I almost always play on 1.5x speed, as I’m not that good at making out large clusters of arrows when they’re tightly packed. When playing online though, you are forced to use 1x (normal) speed. No video chat! I want to see the one I play with! DDR is a physical game, and thus it is fun to watch people play it, seeing the actual person. It would be perfect to have a small video feed using the Xbox Live Vision camera in this game!!! :( But no, nada, nothing. If this wasn’t enough, I found other things with the game that put me off. You can get new songs only by playing the Quest mode, which is broken. You cannot see what the challenge is before you pick a location, and after you have picked one you cannot go back to choose something else. Songs might also contain fewer arrows than are needed to complete the challenge. I want to win songs by playing the Arcade mode. I have to pick where to load/save my game data each time I start the game. Why can’t it just try to load from the HDD if it exists? It’s not a big issue, but it just feels unnecessary. The included mat is fairly useless, at least for intermediate / advanced players. As I usually play on a metal pad, the included soft, super-thin mat feels really floppy and undefined. But that’s mostly because of what I’m used to, and I guess you can’t really expect anything better out of a standard DDR box. 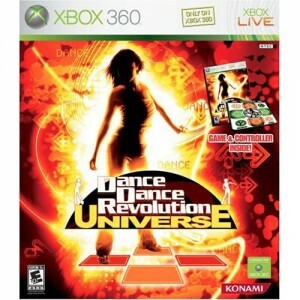 Summary: This will most likely be the DDR game I play the least as of yet. Thumbs down! And here I thought I would get a Nextgenâ„¢ game where everything would go beyond my expectations, but I got the exact opposite. This entry was posted in Gaming and tagged DDR, Gaming, Xbox 360. Bookmark the permalink. One Response to DDR Universe, what happened here? Old post but found on google so i’ll say it anyway. You CAN play on different speeds….just hold start when starting a song and you’ll get an options menu.